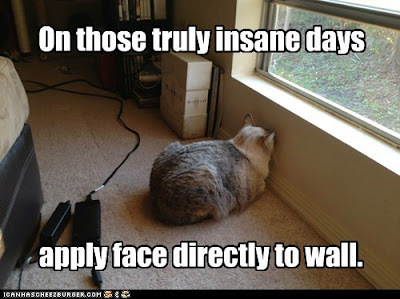 I have come to the conclusion that housework is pointless if one has cats. As soon as I remove one pigeon carcass and hoover up the feathers, the kitties bring me another one. 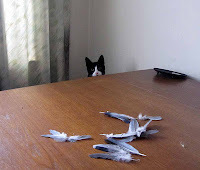 I suspect that the cats have discovered a source of birdseed which they are using as bait. Totally frustrated with the rubbish being spouted by Prof. Beattie and her ilk in the name of Catholic women, Caroline Farrow hit on the brilliant idea of getting together a petition of support from faithful Catholic women. It's rather like the Chrism Mass demo that I used to organise with Joanna Bogle. Sadly, the demo at Southwark had to stop because they moved the Chrism Mass from Maundy Thursday, and getting time off school and work was harder to arrange... though Westminster's is still going strong, I think! "I am a faithful practicing Roman Catholic woman, who attends Mass at least once a week and who believes in and practices the Church’s teachings, specifically pertaining to matters on sexuality, contraception, abortion, marriage and the ordination of women. I believe that the Roman Catholic Church is sympathetic to and representative of the needs and concerns of women and their children, wherever they may be in the world. 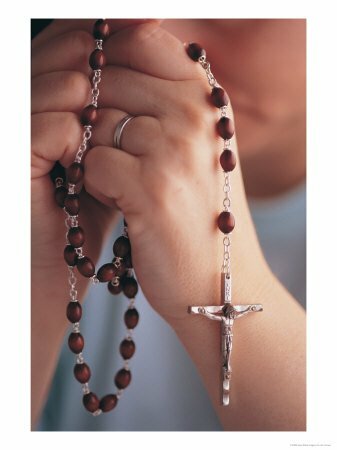 I would like to offer our new Pope Francis, my prayers and support and thank him for his continued protection and support of mothers and their unborn children. I fully endorse Church doctrine in relation to women’s issues." Personally I would be inclined to reassure people that failing to live up to this ideal is no bar, provided one accepts that the ideal is true and something to strive for, rather than attempting to change Church teaching to suit our sinful natures. However, if you want to sign up, Caroline has started a specific blog for signatures... please do go over and give your support. A full teaching day at school means that I haven't had the opportunity to watch the Holy Father's Inaugural Mass, nor to check out many of the reports. Having read this (excellent, as always) piece by Fr. Simon, I think I shall be sure to eschew any of the mainstream media reports. One of the best pieces I have read on the election of Pope Francis is from the Provost of the London Oratory. It is such a relief to read something so sensible after all the nonsense. "Reading the newspapers since the election of our new Pope, pious Catholics will find material that fills them with hope and joy and speculations that might give anyone sane a stroke if they happened to be true. We should not allow what we see in the press or on the Internet to disturb our serenity and distract us from prayer. That would be playing into the hands of the devil, who dreads and despises the prayers of the faithful (any timidity one might have about mentioning the devil in these modern times, by the way, has been dissolved by the fact that Pope Francis mentioned that enemy of God and man at least twice, in startlingly direct terms, in sermons on the first days after the election)." I particularly enjoyed the reference to Hans Küng as "the Swiss entertainer" ! Some people are getting a little over-wrought about our new Pope. Personally, I think we need to give him time... after all, being made responsible for the world's billion or so Catholics must be a bit like being hit with a ten-ton truck. 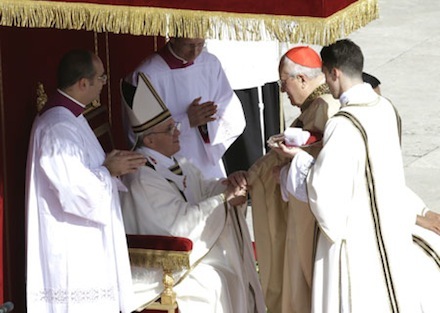 Getting stressed over whether he wears the papal red shoes is perhaps a little premature. He's 76 years old, and wearing in a new pair of shoes is no joke at any age, especially if you do a lot of standing and walking. I seem to recall reading somewhere that his feet are far bigger than anyone else's in the conclave, and the ones made for possible popes just weren't big enough. So I thought I'd share this little snippet. A twitch of the mantilla to Damian Thompson. 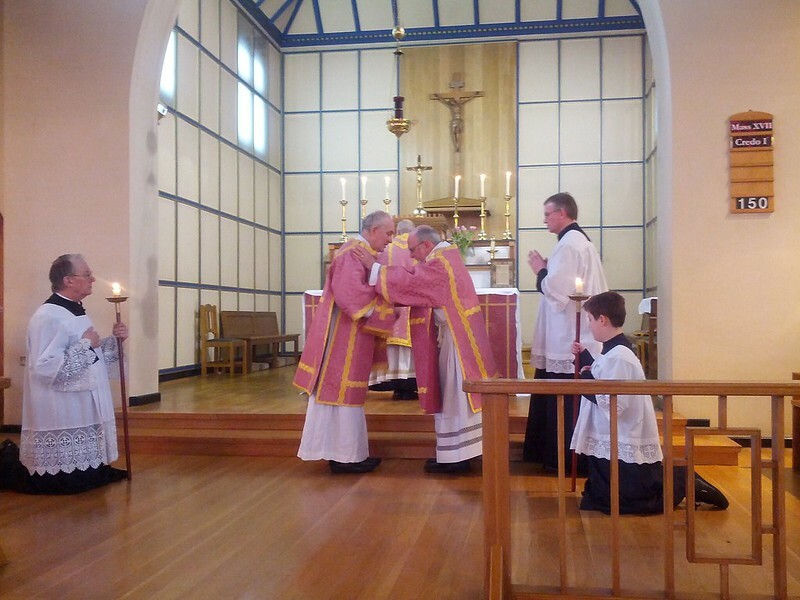 We had a Solemn High Mass on Laetare Sunday (something of a tradition at Blackfen!) but I only just realised that I hadn't put up my photos on Flickr. That oversight has now been corrected! One of the servers was very anxious to know if we were going to have a Solemn High Mass next weekend, on Palm Sunday. Unfortunately, Fr. Finigan has been unable to find a subdeacon, so it won't be possible. This news appeared to cheer the boy up immensely. That means he gets to carry the cross and bash the church door with it... apparently, at a High Mass the subdeacon carries the cross!